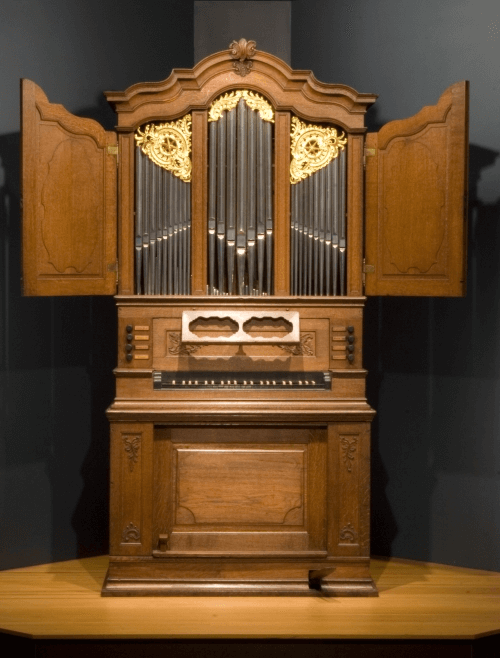 The Kauffman Museum at Bethel College in North Newton, Kansas, is home of an important historic organ, a six stop chamber organ built in 1750 by Jacob Teschemacher. This well respected organ builder had his workshop in Elberfeld-Mirke, now part of the city of Wuppertal in Germany. A thorough, historically faithful restoration by our firm has brought the instrument back to its original 1750 condition.